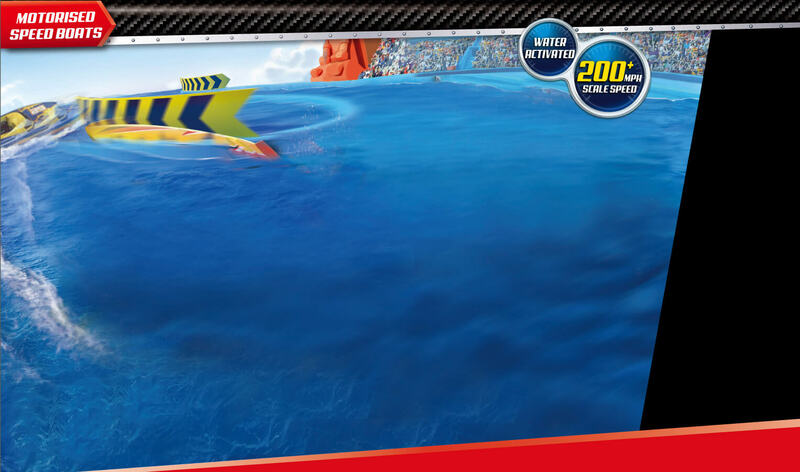 Get ready for some epic speed boat racing action with the Shark Attack Playset! Launch your water activated boats and see if you can speed faster than the shark can bite! Prove your need for speed - the race starts now!